My take: Cora Kelly was adopted as an infant by affluent parents and lived a good life. That didn’t stop the need to know who her birth parents were and why they gave her up. When her search leads to her birth mother will she be prepared for the answers. Cora, an art teacher, interviews at the school for troubled boys that was founded by Aiyana, her birth mother. The person who hired her is Eli, one of Aiyana’s adopted sons. Cora is stunned to know that her birth mother would let her go but adopt several sons. One more question that needs an answer. Eli will figure prominently in Cora’s story. They have an attraction to each other that neither bothers to fight. Lots of intimate scenes for these two. On one level that kind of bothered me. On another level it was understandable. I thought the resolution of Cora and Eli’s story was surprisingly quick and pat. I can live with that. Finding Our Forever is the first in a new contemporary romance series by Brenda Novak. I liked it and look forward to reading the books that follow. My take: The Holiday Gift is the third of the Nichols sisters’ books within the Cowboys of Cold Creek series. It can stand alone but I think you’d enjoy it a bit more if you read the previous two books ( The Christmas Ranch and A Cold Creek Christmas Story). I love a good Christmas romance and this one didn’t disappoint – even despite Faith’s frustrating denial of her true feelings for Chase. But I trusted RaeAnne Thayne to bring her characters to a HEA and she didn’t let me down. The Idaho mountain ranch setting as described by Thayne is wonderfully inviting. It was fun to read about all the happenings at The Christmas Ranch and with Faith’s sisters. The Holiday Gift is a lovely story and a satisfying completion to the Nichols sisters’ trilogy. Recommended to fans of the author, novels about families, and a nice Christmas romance. Synopsis: Hope Nichols has never felt as if she belonged anywhere, except her hometown of Pine Gulch. So, when she hears that her family’s property, Christmas Ranch, is set to be shut down forever, a determined Hope heads home. She refuses to let the Grinch steal her holiday. This will be the most memorable Christmas ever! And, thanks to hunky former navy SEAL Rafe Santiago and his adorable nephew, she might just pull off that miracle. 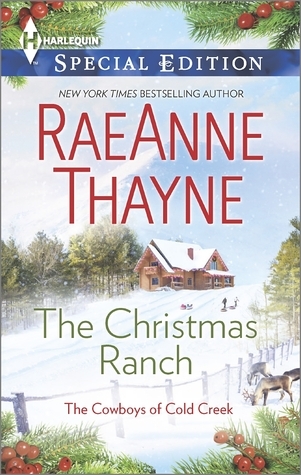 My brief take: The Christmas Ranch is a lovely story about two people who go above and beyond to help the people in their lives. Rafe put his life in San Diego on hold to care for his nephew in rural Idaho. Hope is determined to get the family Christmas Ranch up and running again in time for the holiday season. Once Christmas is over the two will go back to their separate lives – or so they plan. Eventually they figure out that “sometimes what you think you want is different from what you really need”. It’s a sweet story that embodies the spirit of Christmas. Recommended to fans of the author and a sweet Christmas romance. Synopsis: Famous former NFL stars don’t date single working moms like Bailey Voss. She’ll allow herself to daydream about Kenny Scott’s muscles and killer smile, but wanting more would lead to post-holiday regret. Then Kenny volunteers to run a toy drive with Bailey, and she learns that he’s not just hot he’s also generous, funny, nice. The whole package tantalizingly out of reach. My take: Yours For Christmas is a novella featuring two characters that fans of the Fool’s Gold series have come to love. We learn that Kenny has issues stemming from an emotional event years earlier that prevent him from wanting to become involved with Bailey. Bailey is a widow with a seven year old daughter and they both have a huge crush on Kenny. Bailey wants to provide a safe and normal life for her daughter but she doesn’t want her to get too close to Kenny if there’s a chance he’ll leave – becoming yet another loss for the little girl. 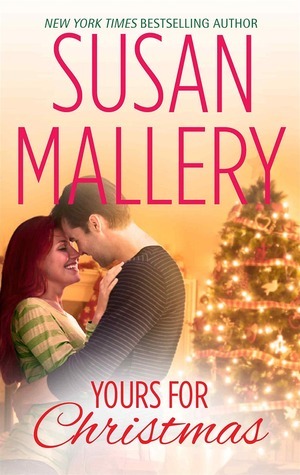 Susan Mallery filled her novella with a lot of heart-tugging emotion but the title reminded me that things would most likely work out for Kenny and Bailey. I enjoyed reading how it all came about and recommend this novella to fans of the Fool’s Gold series. Synopsis: After a family tragedy, former football hero Jack McGarry keeps the world at arm’s length—a challenge now that his PR firm has moved to neighborly Fool’s Gold, California. My take: Jack McGarry has been operating on autopilot for most of his life – ever since his twin brother died when they were teens. He’s a self-described shell of a man who financially backs the causes of his friend and assistant Larissa. When the two become romantically involved everything is great – until it isn’t. Pressure from unexpected sources throw Jack into a tail-spin and he lashes out at everyone near and dear to him. I really wanted to love this addition to the Fool’s Gold series but ended up liking it. The actions of Jack toward those he loved most were explained but, I don’t know, I just didn’t buy it. 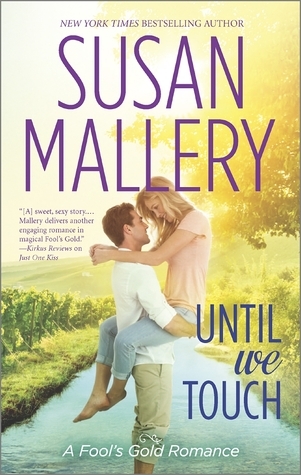 Regardless, Susan Mallery wrote an emotional ending that was sweet (although rather abrupt). Despite that I found Until We Touch not as strong as others in the series, I’m a fan of the Fool’s Gold series and look forward to the next book. Synopsis: Fiery French chef Élise Philippe is having a seriously bad day. Not only have the grand opening plans for her beloved café fallen apart, but Sean O’Neil is back in town and looking more delectable than ever. Memories of the electrifying night they shared last summer leave Élise very tempted, but she knows all too well that eventually Sean will be leaving…again. 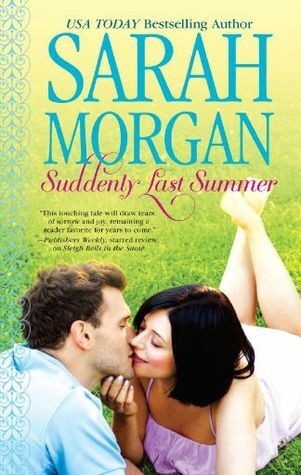 My take: Sarah Morgan introduced us to Elise and Sean in the first book of the series, Sleigh Bells in the Snow, so I had the sense that they were both passionate about their work and a bit on the stubborn side. In Suddenly Last Summer we find out just how passionate and stubborn these two can be. At times I wanted to say “enough, already!” But that would have made for a very short book. A family emergency brings the two together and, over the course of several weeks, they learn more and more about each other. More importantly they learn the motivation behind their reluctance to let a connection become a relationship. By the last page I was pleased with how Morgan tied things together and look forward to seeing these two continue in the third book due out this fall, Maybe This Christmas. Recommended to fans of Sarah Morgan, the O’Neil Brothers series, and fun contemporary romance.